2 Tropical cups – Airtight and Liquid-tight containers which allows you to pack a complete, wholesome meal. 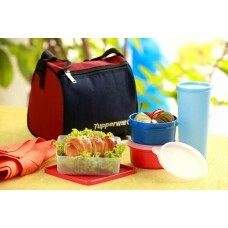 Best Lunch bag – Smart spacious lunch kit; can carry an additional spoon, napkin or any other important items. *Conditions Apply : Colour of actual products may vary. Offer valid till stocks last.